Adscend Media - Affiliate CPA network reviews and details. 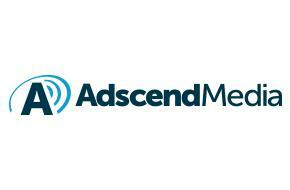 Adscend Media has been established by a two-person team since 2009. And now, we create an utmost platform by more than 30,000 publishers in 180+ countries. The platform provides a fully-native SDK at a smooth and faster loading ad speed. With up to 15 new, highly targeted surveys available every day, our market research solution is an excellent way to boost daily revenue, user retention and generate 10x higher eCPMs. Our diverse campaigns including desktop and mobile will help you to acquire more users and engagement which leads to take your brand global. You can check Adscend Media reviews and Offers on Affbank and ask Adscend Media Team any question by using the contacts above, especially about how to earn money! I tried to work and I liked Adscend. Application was longer and took more than other networks for CPA but it is a very good company.If you want to try all of CPA networks for content locking then you should consider this as one you test too!